BRD makes SAP Business One Implementation Smoother. 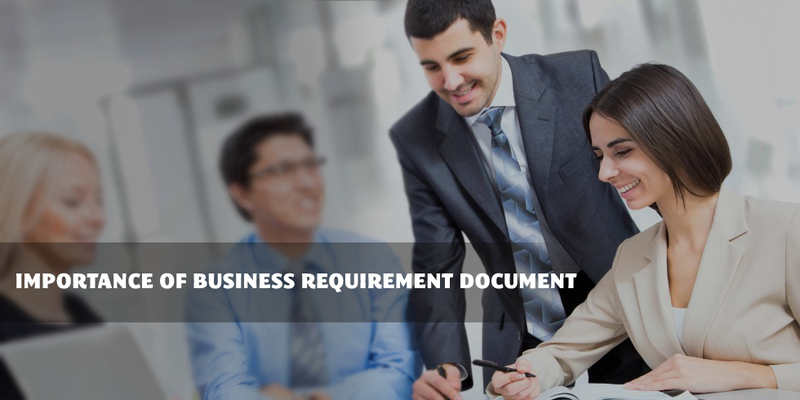 BRD is a comprehensive description of an Enterprise’s business needs, operations and processes in a single document. BRD is a Business Blue Print of the enterprise which works as a foundation for SAP Business One implementation process. If the BRD is done precisely as per the actual business process than SAP Business One Implementation success chances are very high. BRD minimizes the time and efforts required to achieve desired result and goals. BRD gives a detailed view of how the business processes should be mapped into SAP Business One. BRD includes scope of the project, business operations, work flow and requirements for the SAP Business One implementation. BRD is the signed and authenticated document which provides clarity between Implementation partner and enterprise. Let’s take a look at both the scenarios, with authenticated BRD and without BRD, SAP Business One implementation. Project scope and scenarios Project scope and scenarios are well defined. Clear Project scope and scenario doesn’t exist. Time and Effort Estimate Clear estimate is available with reference to project scope. No proper base to justify estimate. Requirement Definition Well defined requirements are available. Not proper understating of enterprise’s operations. GAP Analysis and Customization Gap analyses is being done and require customization estimates is clear. Require customization points and estimates may not be cleared. Workflow Definition System workflow is precisely defined. Work flow for the system can’t be defined. SAP B1 ERP Suitability Clears picture for suitability of the SAP Business One for the enterprise. May be SAP Business One is not fit for the enterprise due to complex operations. Complexities Clears road map to address complexities. Chance to face more complexities. Measurable Through clear project road map and project planning for activities. Project road map or planning not defined to measure. Actionable Utilize planed activity as a base for action taking circumstances. Without any planed activity, there is no chance to take any action. Chances for Success 100% chances for successful implementation. Less chances for successful implementation. Client may not be available to meet and discuss requirements. Communication gap between client and consultant. Optically discerned requisite understanding as a waste of the time and efforts. No opportune way to recording the requirements. Conflicts between groups or departments over certain processes. Lack of resources for providing of enterprise operation details. Unavailability of Domain experts to guide. What does BRD include for SAP Business One?